September 1908. 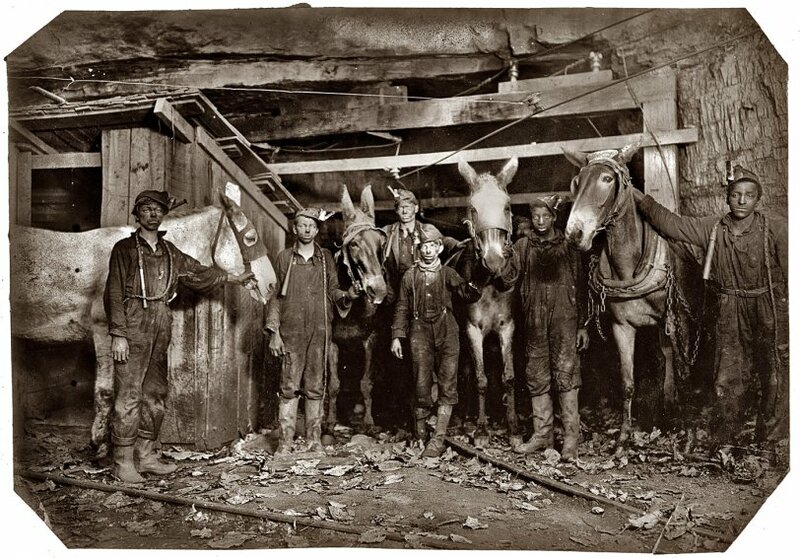 Young mule drivers and trapper boy at the Brown Mine near Brown, West Virginia. Underground from 7 a.m. to 5:30 p.m. View full size.